WASHINGTON (AP) — With U.S. exports of oil and natural gas surging, President Donald Trump says the U.S. is on the brink of becoming a net exporter of oil, gas and other resources. The White House is launching its “energy week” with a series of events focused on jobs and boosting U.S. global influence. The events follow similar policy-themed weeks on infrastructure and jobs. The previous weeks were largely overshadowed by ongoing probes into whether Trump campaign officials colluded with Russia to influence the 2016 election, as well as scrutiny over Trump’s firing of James Comey as FBI director. Drawing fresh attention now is the Republican bid to scuttle the health care law despite a rebellion within Senate GOP ranks. Energy Secretary Rick Perry said Monday the Trump administration is confident officials can “pave the path toward U.S. energy dominance” by exporting oil, gas and coal to markets around the world, and promoting nuclear energy and even renewables such as wind and solar power. Trump has long used “dominance” to describe his approach to energy, and Perry and other administration officials have begun echoing the phrase as a short-hand for policies that “unleash” unfettered energy production on U.S. land and waters. Similarly, during his administration President Barack Obama spoke about an “all of the above” energy policy intended to reassure skeptics that he supported a wide range of U.S. energy production. Despite Trump’s withdrawal from the global Paris climate accord, Perry said the U.S. remains committed to reducing greenhouse gas emissions that contribute to global warming. 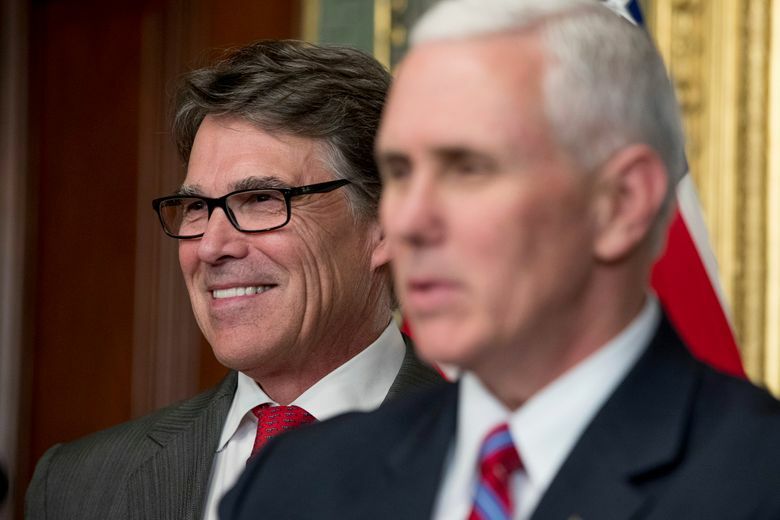 “Instead of preaching about clean energy, this administration will act upon it,” Perry said, calling nuclear power a key element to fight climate change. “I don’t think the administration is going to be wildly supportive of government subsidies for sectors of the energy industry,” he said.